On any given day, your average customer will receive tens if not hundreds of different marketing messages across a range of online platforms. With such a large volume of messages passing by people’s screens every day, the battle to grasp customer attention is fierce. So, how does Frank, who has a full-time job, married with 2 kids, and let’s not forget about the dog, choose what messages to engage with when he has a limited attention span and time? When processing information the human mind uses 2 different cognitive processes known as System 1 (fast-thinking) or System 2 (slow-thinking). System 1 is the fast, intuitive, emotional, and automatic approach; whereas System 2 is the slow, deliberate, controlled, and analytical approach. When we have limited time we are more inclined to use System 1. Interestingly, more often than not, marketers like to believe that customers become engaged only after they make careful and measured decisions. However, when processing information most customers, like Frank, use the ‘thinking fast’ and not the ‘thinking slow’ system when making their everyday decisions. While thinking slow may make sense in theory, in practice it is too cognitively heavy for most customers to process and engage with. Marketing messages with complicated reasoning, heavy use of text, and crowded designs, require customers to ‘think slow’, and with limited attention span and time, high engagement is very unlikely. By limiting the number of choices, including personal information, and making sure the content is suitable for speedy reading, you will increase your chances of engaging fast thinking customers. 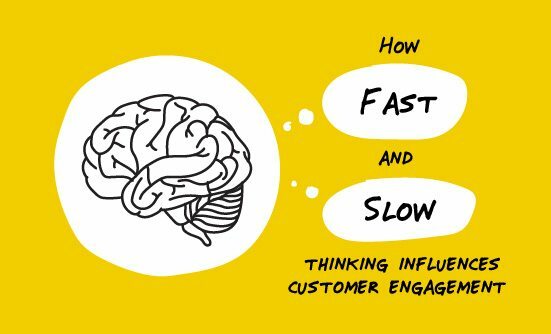 As a marketer, it’s crucial to understand in which situations and when customers use the ‘thinking fast’ and the ‘thinking slow’ system, so we can tailor our message accordingly. After all, how can we engage customers if we don’t understand how they engage in the first place? Want to know more on how thinking fast & slow influences email subject lines? 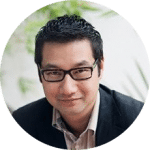 Have a look at this case study from Rabbit Rewards, a loyalty program for the Bangkok Mass Transit System with 3.5 million members.